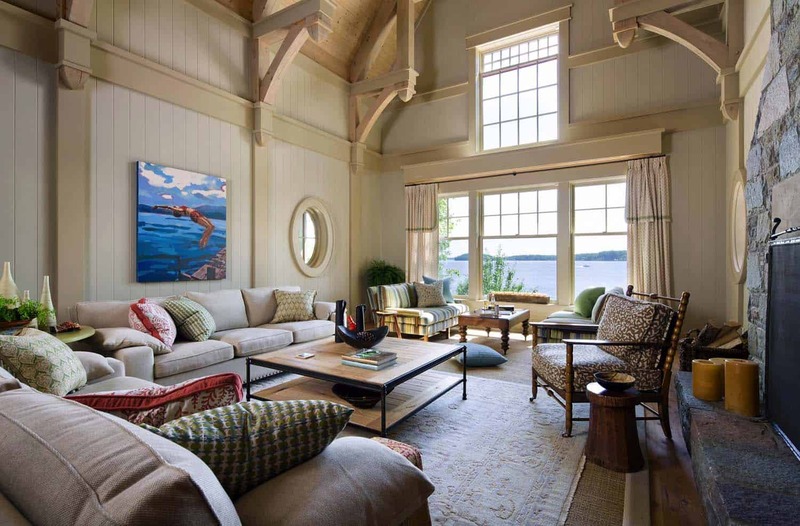 This beautiful beach style cottage was designed by Lisa Stevens & Company, located on Lake Muskoka, Ontario, Canada. The interiors have been developed to offer an understated elegance, with comfort and function and a layering of textures to promote warmth. 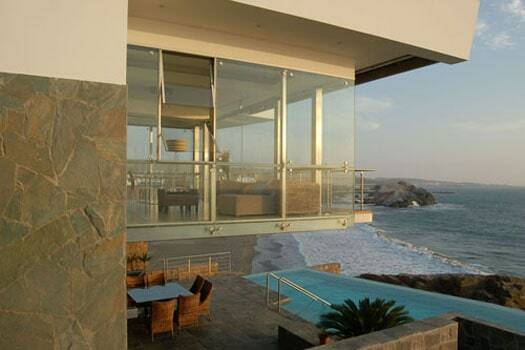 The home offers a really soothing palette, responsive and sympathetic to the natural environment outside. 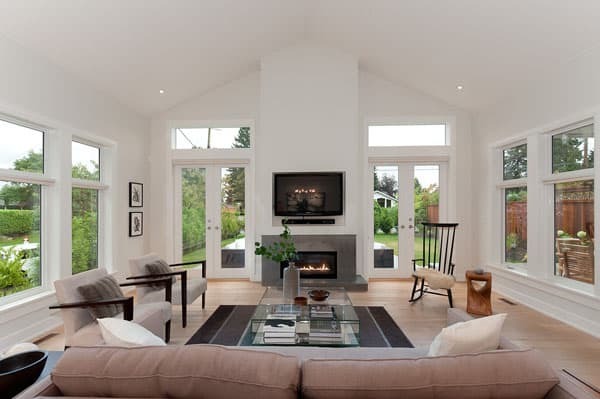 The overall design features a timeless aesthetic with large picture windows framing tranquil views of Lake Muskoka. 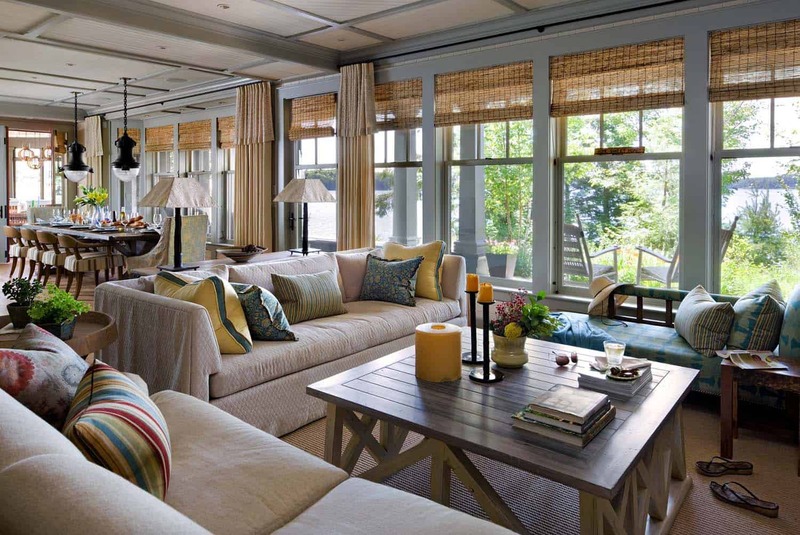 Above: Both of the coffee tables in the living room were custom fabricated for the space. The coffee table in the foreground was re-purposed with a wrought iron frame from the homeowner’s great room, with a reclaimed rustic wood top. The trim in this room is Bennington Gray HC-82 | Benjamin Moore, the paneled walls are Grant Beige HC-83 | Benjamin Moore. The painting on the wall is by Toronto-based artist Elizabeth Lennie. 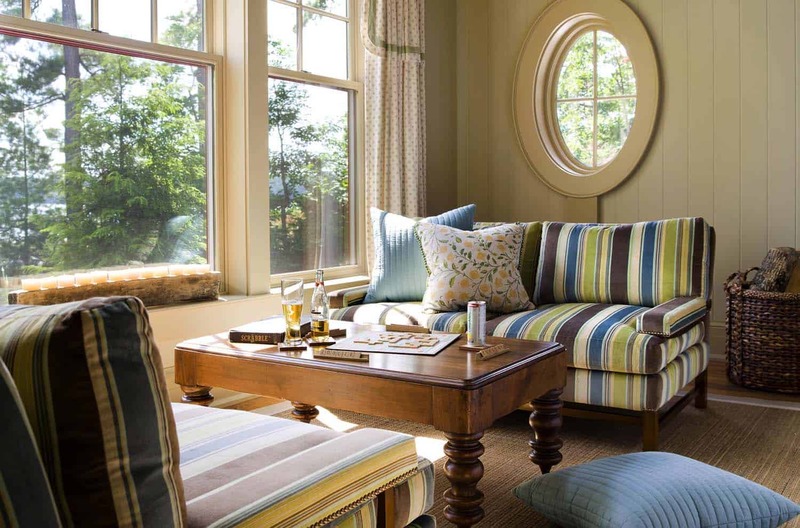 What We Love: This charming and cozy cottage offers light-filled interiors and an inviting atmosphere to enjoy lakefront living. 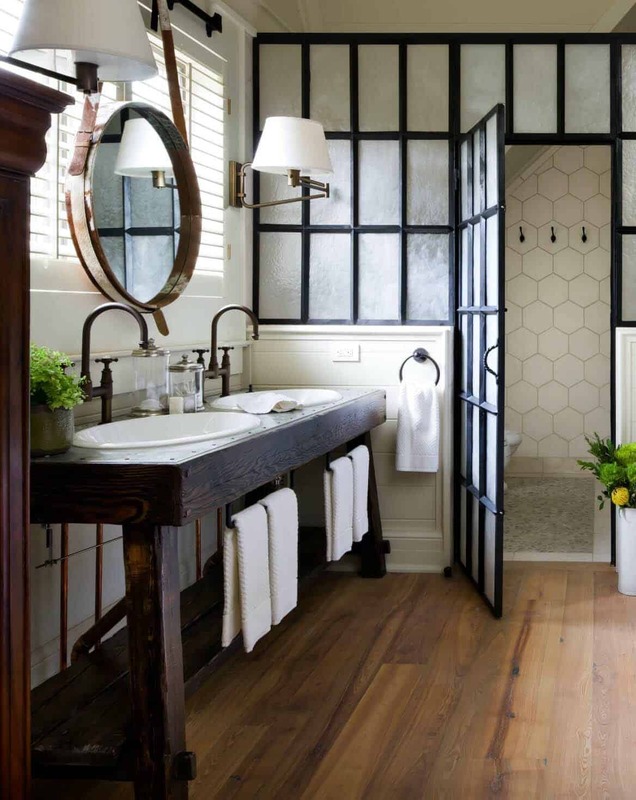 Every detail in this home has been meticulously designed and sourced, from the custom furnishings to the light fixtures and beautiful spa-like bathrooms. Large windows frame the peaceful lakefront views, while a cozy enclosed porch offers the perfect spot to enjoy lazy vacation days. 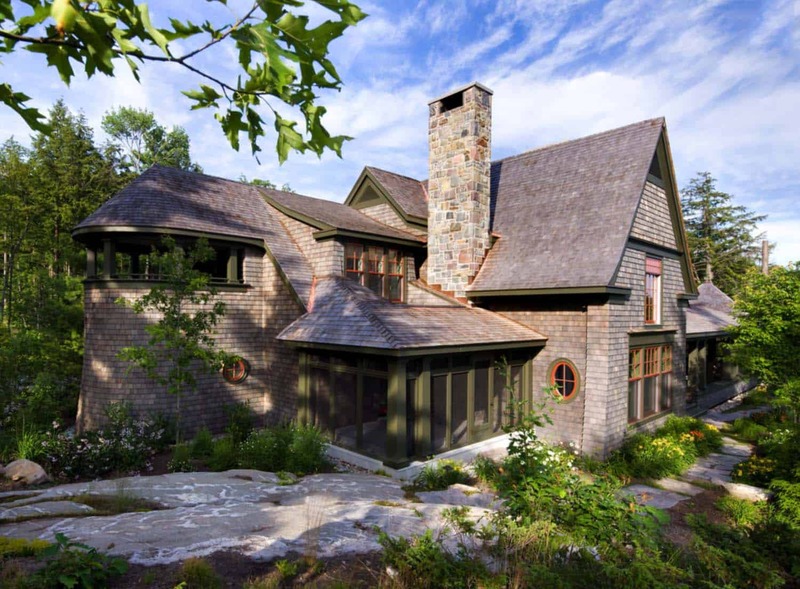 Readers, what do you think of the design of this Muskoka lakefront home. Is there anything you would have liked to have seen done differently? 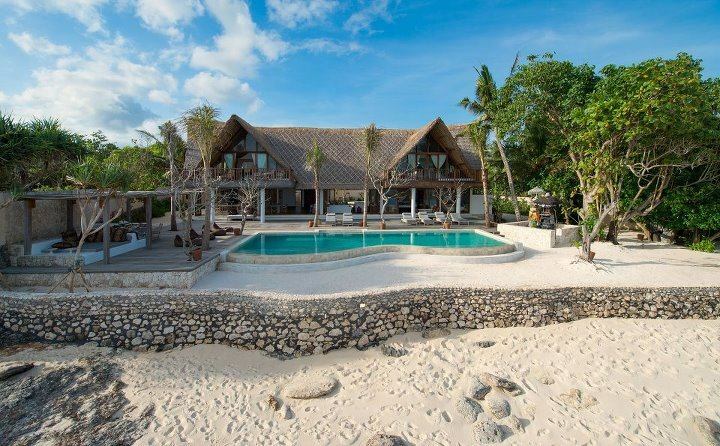 Would this be your idea of the perfect vacation home? Please share your thoughts in the Comments! 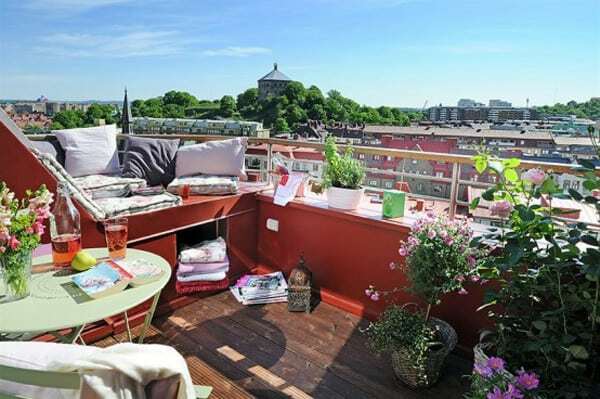 Above: The coffee table was custom designed to be higher than typical height. At 22″ high, it is more suitable for playing games in the lounge seating grouping. It was made locally in Muskoka, to the designers specifications. The Loveseats were custom designed and built by a local upholstery company. The fabric was from Telio & Cie: “Elora” D2849 col.2 Tarif B213. The oval window was produced by Kolbe & Kolbe, available in Ontario through Ridley Windows. Above: The coffee table is re-purposed and re-finished in a lighter wash for the cottage family room (it was originally custom designed for the homeowner’s main residence). The drapery side panels are fixed. 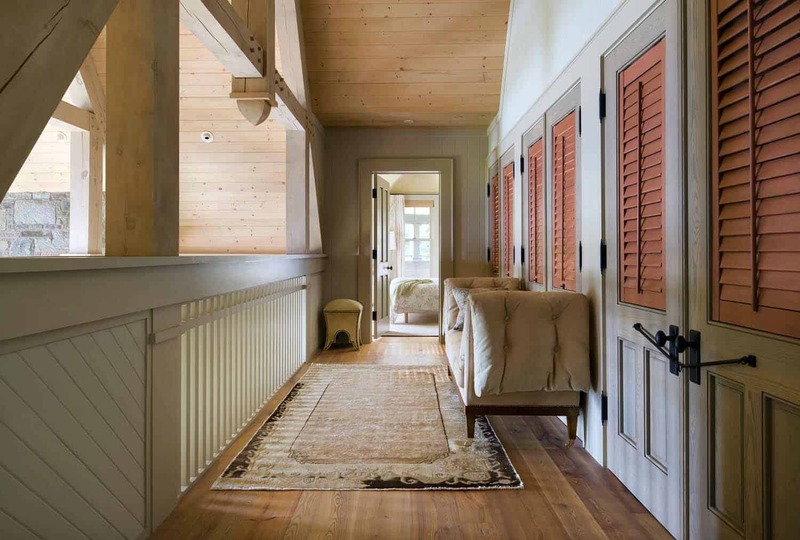 Privacy is offered by the Hunter Douglas Provenance woven woods, so the side panels can always appear fresh. K-scope was used for the drapery hardware. The wall is painted in Farrow & Ball “Blue Gray”. 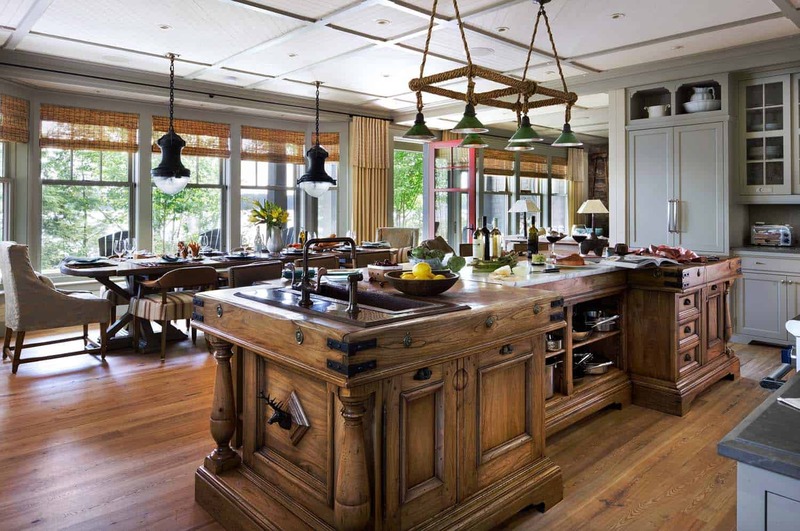 Above: The dining table was hand crafted, solid construction by Old World Woodworking. 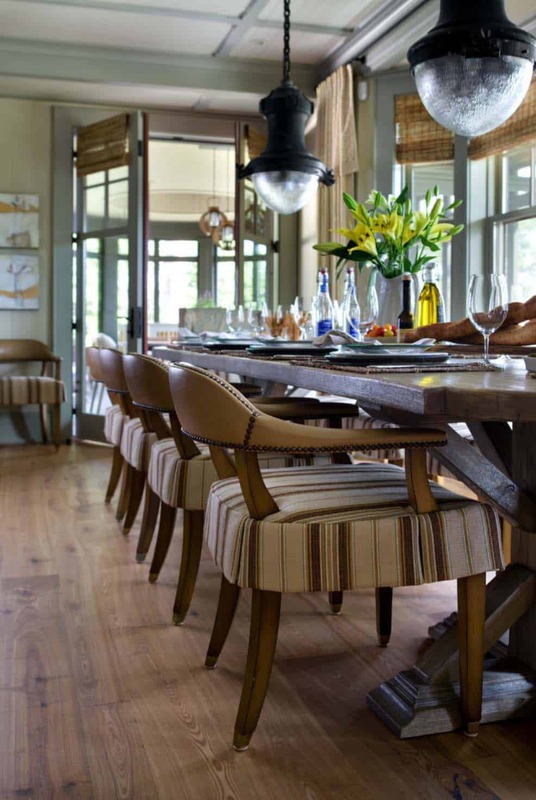 The floors are all reclaimed wood, knotted and antique character left in place—the species was Black Ash. 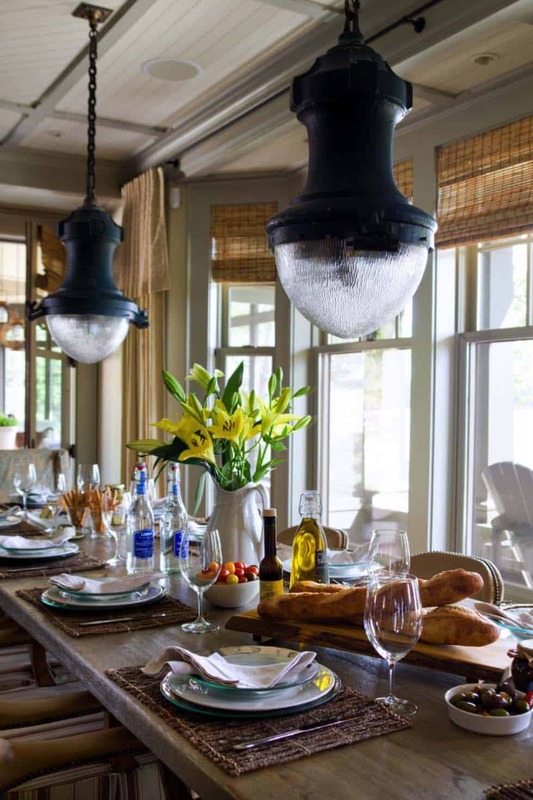 Above: The vintage and refurbished General Electric street lights above the dining table were sourced through a vintage lighting dealer in New Hampshire, PW Vintage Lighting. Online vintage sources may carry similar lights for authentic pieces. For reproductions, try Restoration Hardware. 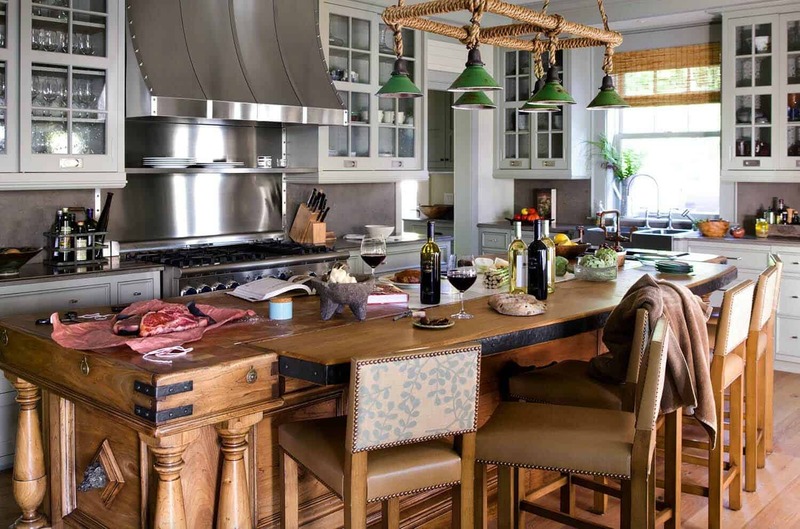 Above: This fixture above the kitchen island was custom designed by the project team. 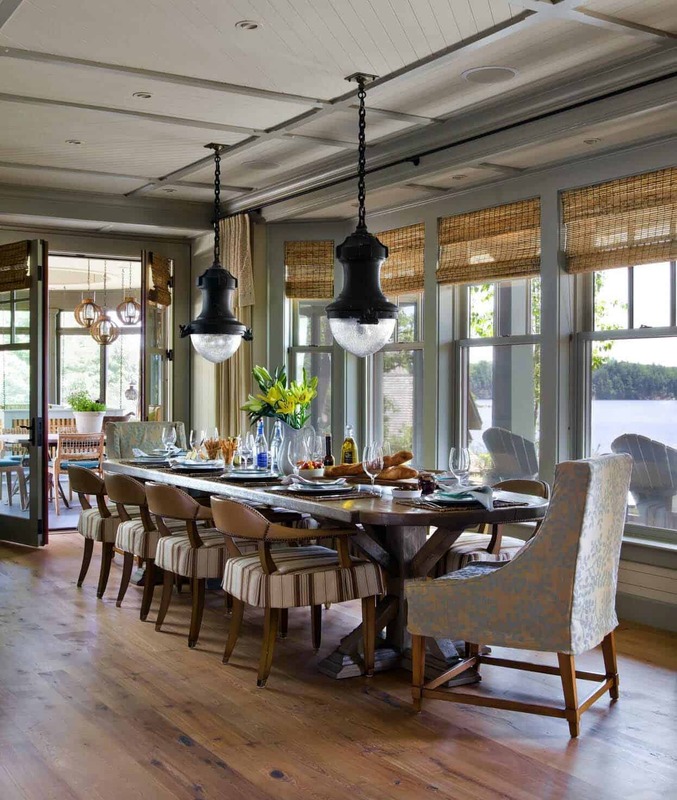 The vintage shades were sourced for the fixture and wired for halogen as required by the homeowner, and combined them with the rope covered structure. 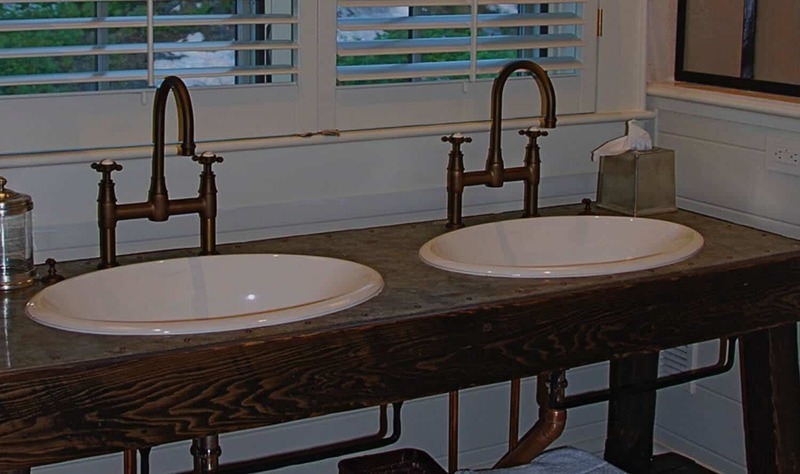 Above: The powder bathroom features a stunning faucet sourced from Sonoma Forge, in their WaterBridge collection. The sink was sourced from Native Trails. The antique lanterns were purchased online, 1st dibs. The backplates and hooks were forged by a local blacksmith and wired by a licensed electrician and inspected for CSA approval. 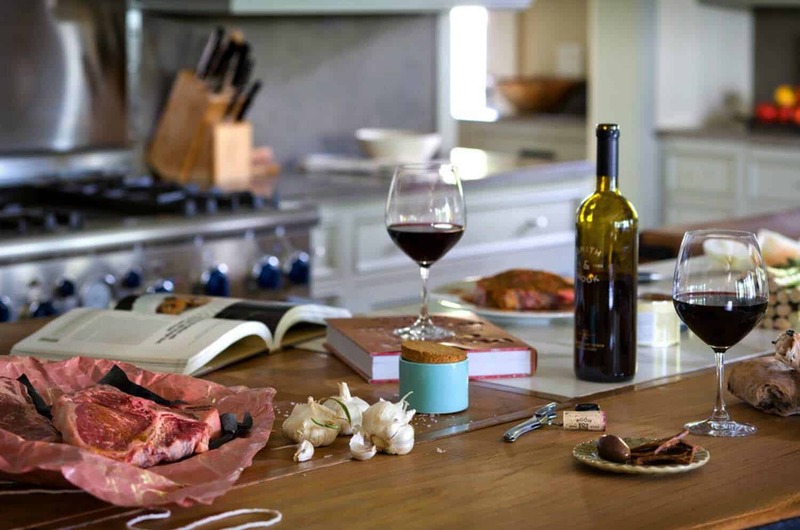 The live edge countertop is a one-of-a-kind piece of spalted wood, found at Old World Woodworking (in a farmer’s field). The chain supports as well as the sconce fittings were custom made by THAK Blacksmith. The sliding door system conceals the toilet compartment, allowing the vanity area to take center stage. The architectural panels were found at Green Tea Asian Furniture in Toronto. The builder devised the sliding system to install them. Above: The stone was a consistent architectural feature in the house. 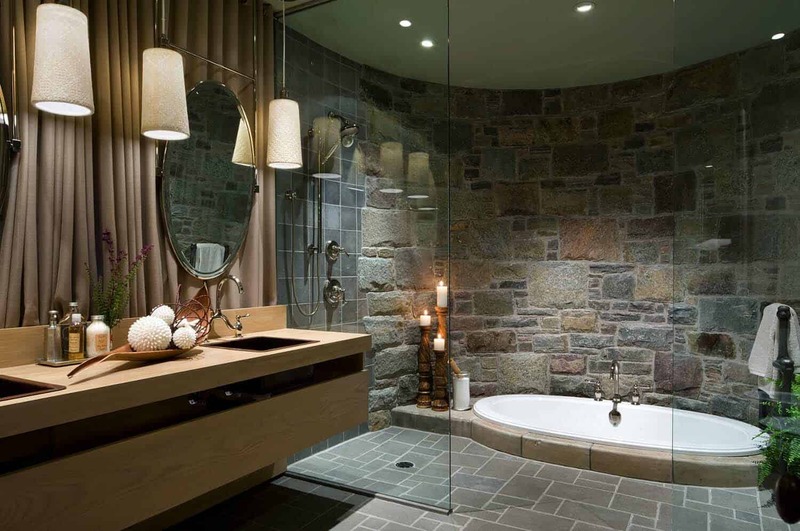 The fireplaces and the exterior of this same curved wall in the bathroom were all clad in the same material. 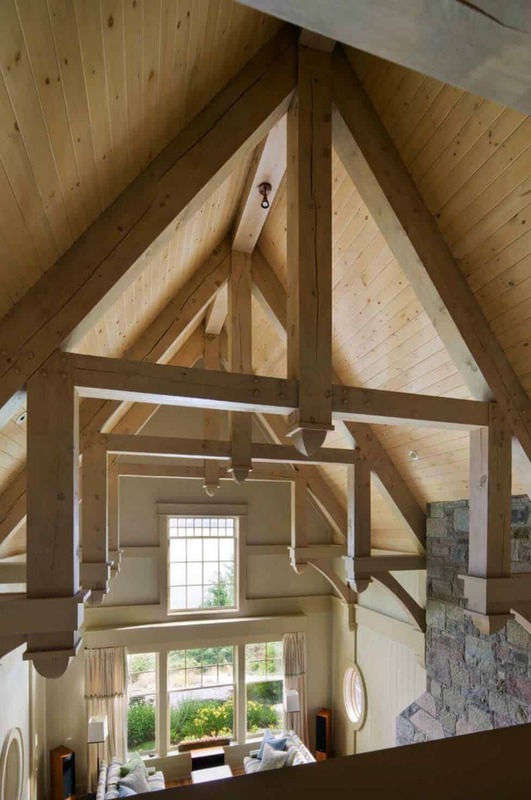 Sourced and install by Stone Mason Doug Burpee. Metal tiles were used in the shower space of this wet room to make it easier for cleaning. 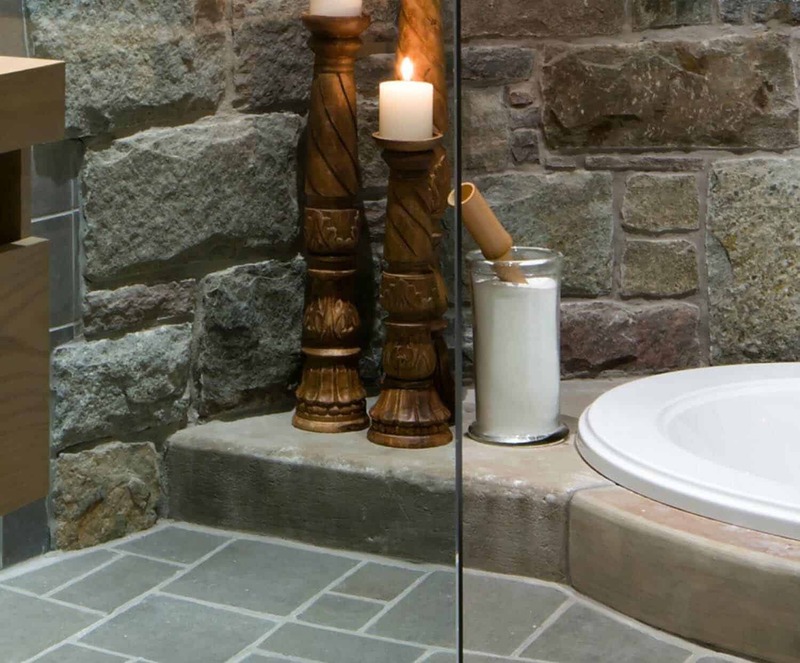 The designer’s used a non-enhancing top quality sealer for all stone, mortar and grout. Above: A close-up detail of the tub shows that it is set in formed concrete. 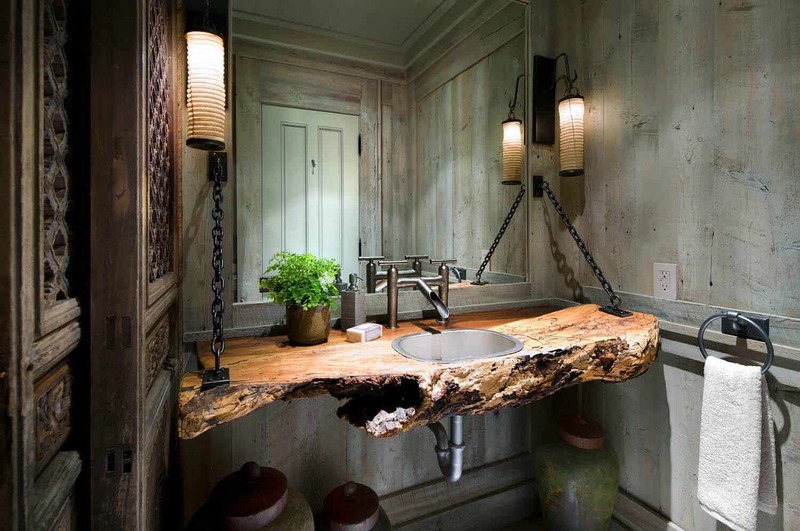 Above: The top of this custom vanity features a rustic zinc sheet. 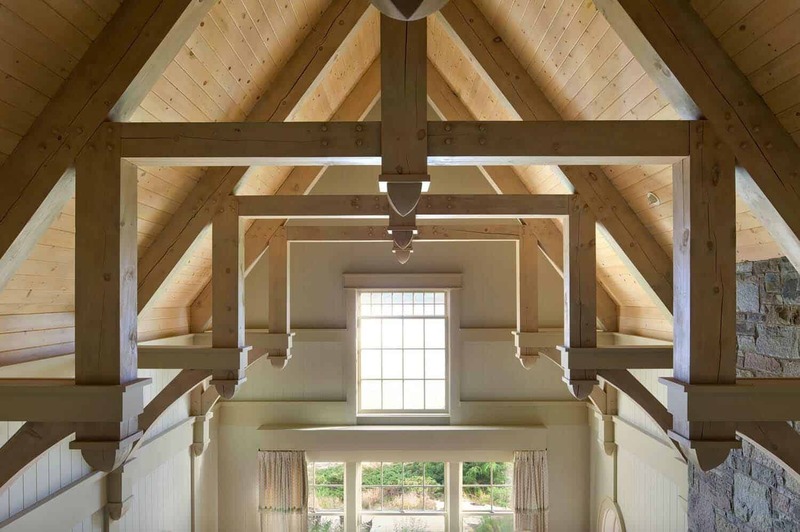 The designer does not always recommend this application, but the homeowners appreciate the idea of rustic personality—and it has held up well over time! 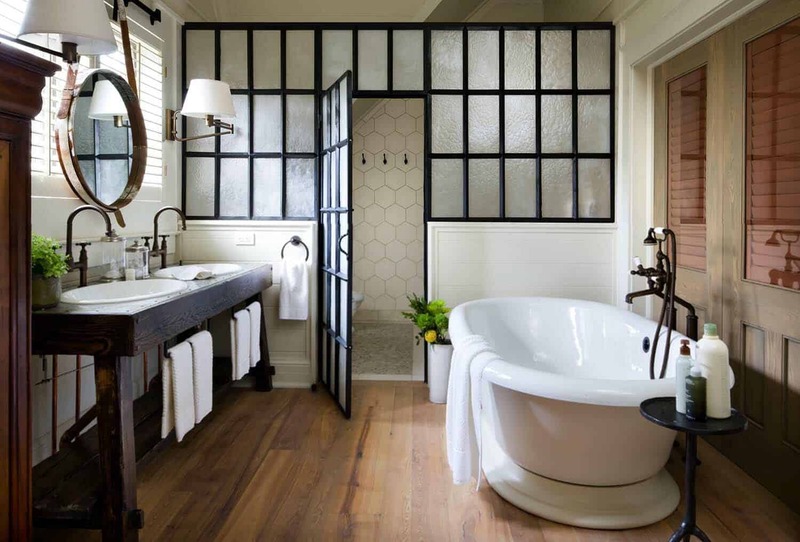 The shower enclosure was produced by THAK Ironworks, located in Guelph, Ontario. Above: A close-up detail of the rustic zinc sheet on the bathroom vanity. Above: The bathroom walls are painted in Farrow+Ball’s “OffWhite” No.3. The mirror above the vanity was sourced from Mecox Home and Garden. 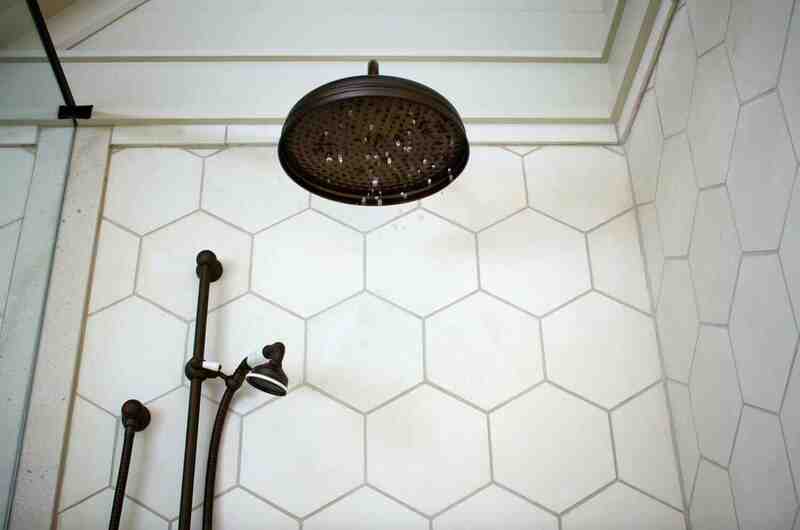 Above: The hexagonal tiles were sourced from Ann Sacks Tile. The grout color on the shower wall is Mapei “Cobblestone” #103. The shower system was Perrin and Rowe in an oil rubbed bronze finish. Note: If you like the idea of a porch swing, have a look here for some inspiring ideas and sources: 27 Absolutely fabulous outdoor swing beds for summertime enjoyment. 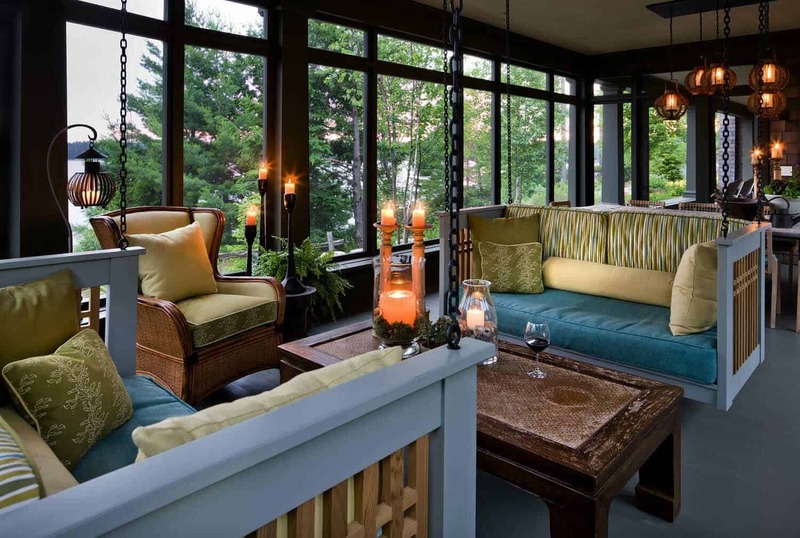 If you need some ideas on designing your own screened-in porch, be sure to check out this featured article: 38 Amazingly cozy and relaxing screened porch design ideas.